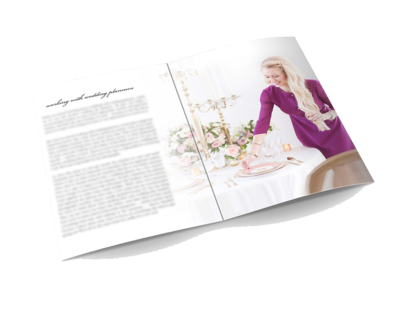 Get inside our head as we reveal exactly how much time we allow for each part of the wedding day. More importantly, find out WHAT we do and WHY we do it that way. Over the years, we’ve developed a proven system to ensure every client gets a consistent, quality experience. 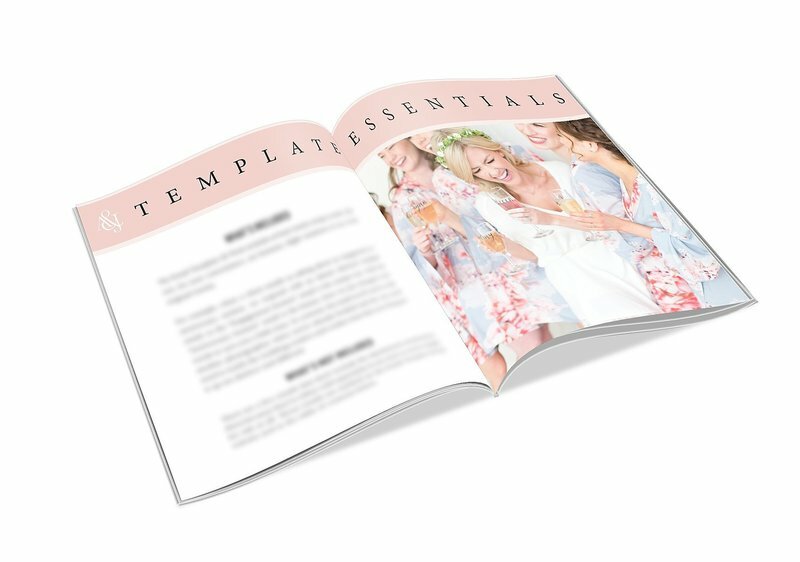 This bonus guide will empower you to plan your own smooth, organized wedding days and confidently answer any questions your clients or wedding planners might have about your timelines. Just booked a wedding? No problem! With our Timeline 10-Pack, you can send your client one of our custom wedding day timelines in minutes. The work is done for you! 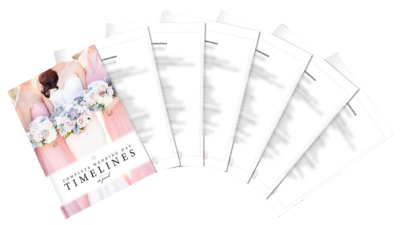 Just choose from our ten distinct timeline situations, make a few adjustments (if needed) and you have a professional, proven timeline that will make wedding days less stressful, more streamlined and allow you the time you need to provide a top quality experience for your clients. The timelines address scenarios with and without first looks, what to do when you have to travel to multiple locations and much more! The best part? We know they work! Because we use them at every wedding. Just booked a wedding? No problem! 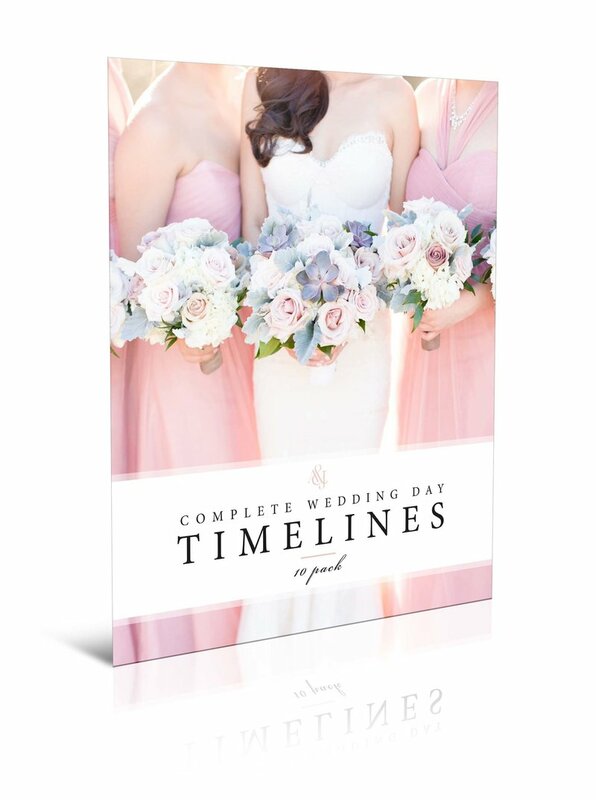 With our Timeline 10-Pack, you can send your client one of our custom wedding day timelines in minutes. The work is done for you! 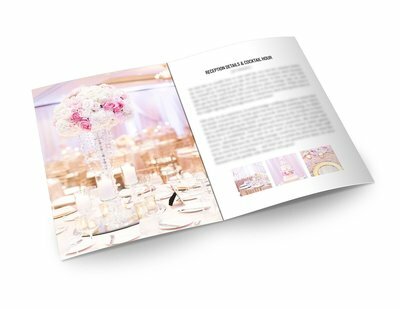 Just choose from our ten distinct timeline situations, make a few adjustments (if needed) and you have a professional, proven timeline that will make wedding days less stressful, more streamlined and allow you the time you need to provide a top quality experience for your clients. The timelines address scenarios with and without first looks, what to do when you have to travel to multiple locations and much more! The best part? We know they work! Because we use them at every wedding. The Bonus Guide is FREE! 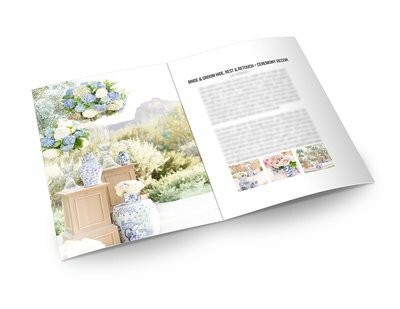 One of the most common questions we get from photographers is how much time we schedule for each section of the wedding day and what we do with that time. This bonus guide provides instant access to the answer! 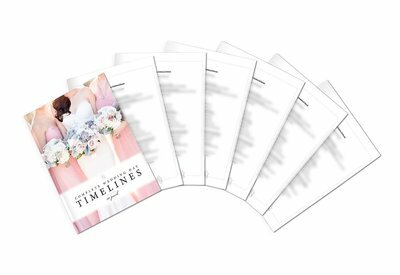 The Timeline 10-Pack Bonus Guide breaks down exactly how much time we allow for each segment of the day, explains what we do and why we do it. 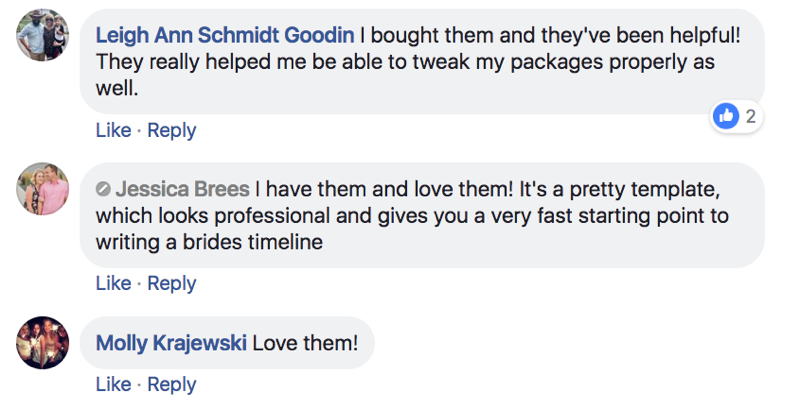 This information will make it easy for you to answer any questions your clients might have about their timeline, and feel confident about the timelines you’re sending them. Plus, we included a $29 bonus guide. For free. The Timeline 10-Pack Bonus Guide breaks down exactly how much time we allow for each segment of the day, explains what we do and why we do it. 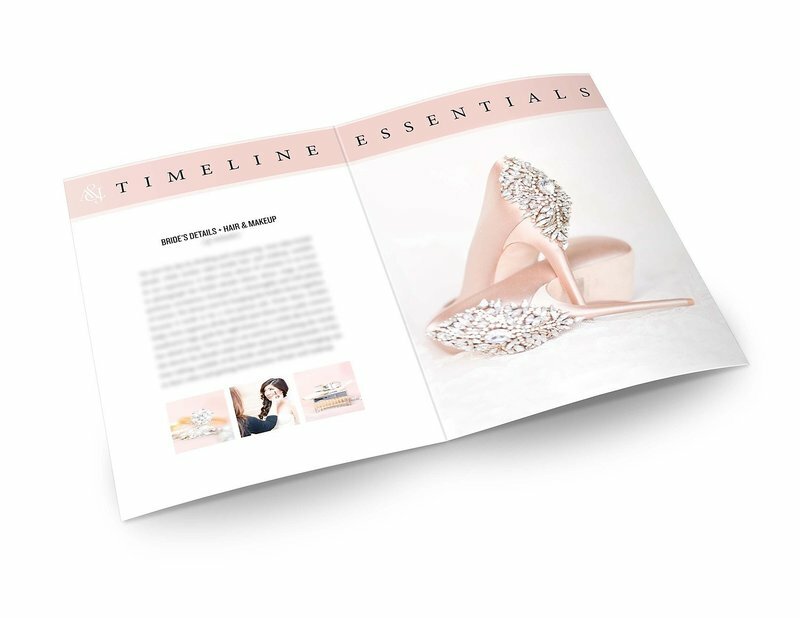 This information will make it easy for you to answer any questions your clients might have about their timeline, and feel confident about the timelines you’re sending. 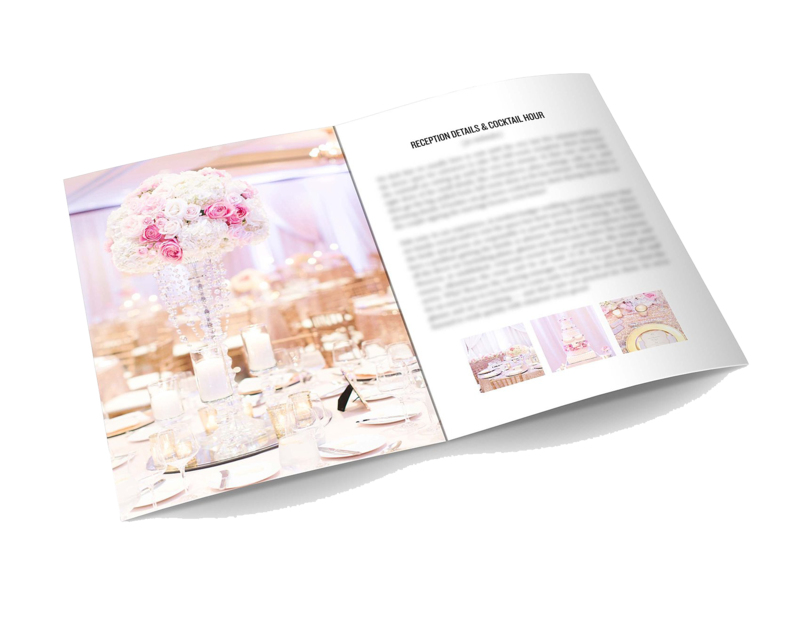 Working with a wedding planner? We've gotcha covered. All of our timelines are wedding planner tested, proven and preferred.